When I was growing up, going back to school was ALL about the school supplies. I anxiously awaited the back to school ads in the Sunday newspaper the way that most kids look forward to the big holiday Toys R Us catalog. I’m pretty sure that I’ve been an arts and crafts supply hoarder collector afficianado since birth. It was always my mission to convince my grandmother that she needed to buy me several extra boxes of Crayola crayons (that I didn’t have to share with my sisters!) since she was getting such a great deal. Years later, as I back to school shop for my own children, I still find myself filling my shopping cart with an abundant pile of those bright yellow boxes. 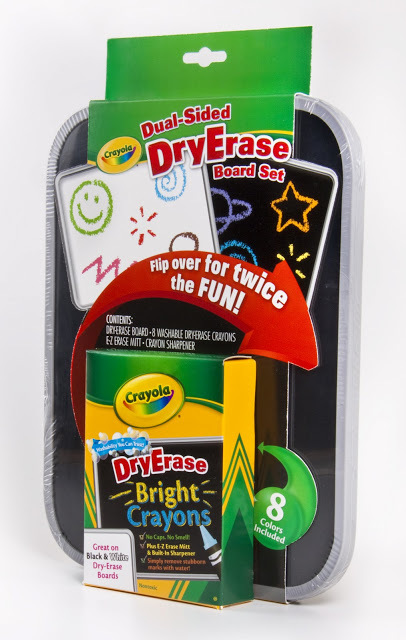 You could definitely say that I’ve been a lifelong Crayola fan, so I was thrilled when they offered to send me a box of some fun new products to test out. Look at all these great back to school supplies! 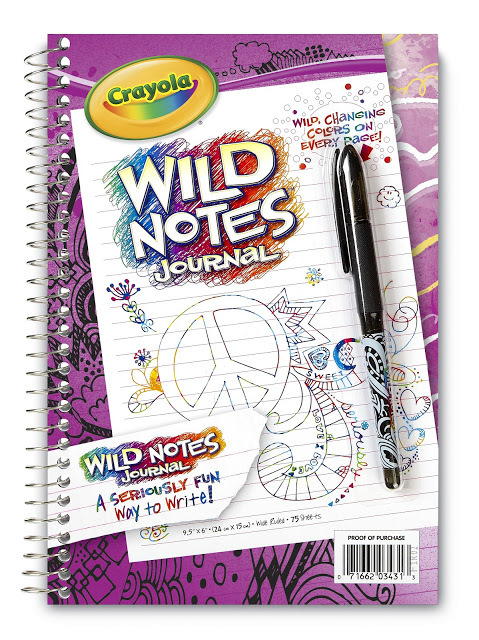 The brightly colored Wild Notes notebook was instantly appealing to my boys, and they were even more excited to discover that it comes with a special pen that allows you to write in multi-color. My boys were hooked by the entire set of Wild Notes products that we received which included the single subject notebook, a wire-bound set of index cards and two cute pads of sticky notes (along with a Wild Notes “magic” pen for each product). 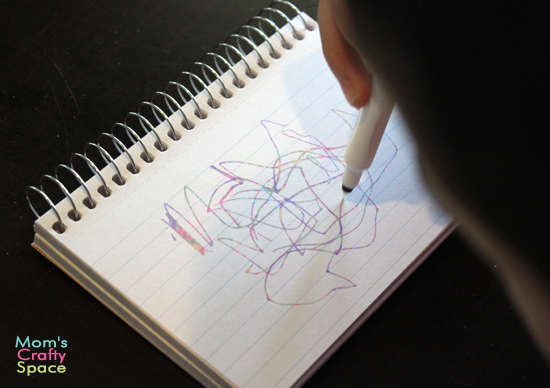 Although Wild Notes weren’t designed with toddlers in mind, my almost-2-year-old had a blast doodling on the index cards, and I loved that the Wild Notes pen was virtually mess-free since it only works on the Wild Notes papers. The next product that we pulled out of the box were the Crystal Effects Window Markers, and we haven’t put them down for an entire week! They are just SO cool! The markers work with solar power to crystallize before your eyes. The ink goes on lightly colored and transparent and within a few moments it begins to look like shimmery ice crystals. I’ve never seen any other markers with effects like this before, and the novelty still hasn’t worn off after a week of solid use! See what I mean? 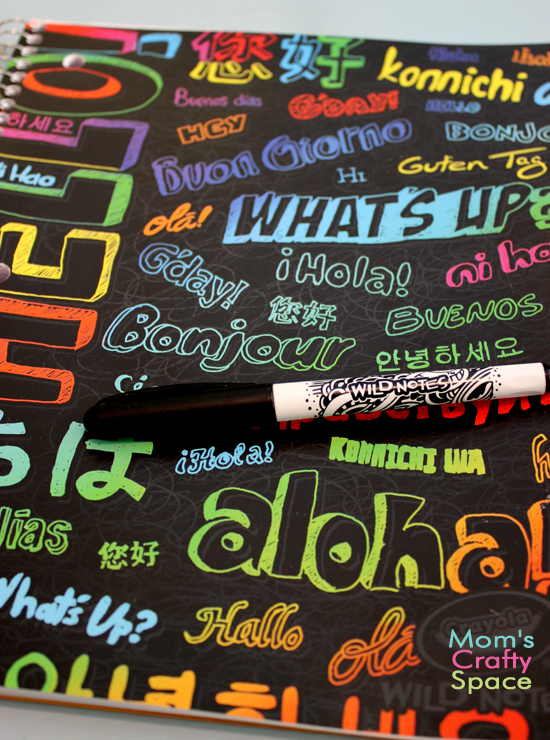 You definitely want to try these out if you have a sunny window to draw on. They wash off very easily, so you don’t have to worry about making a big mess or leaving stubborn marks on your windows. The big boys also loved the Dual Sided Dry Erase Board (one side is black and the other is white) and dry erase crayons, but I found the crayons to be kind of messy in that they’re very soft and tend to get a bit “crumby.” I was surprised at how well they showed up on the black side of the board though, and the color saturation was much stronger than I anticipated. We haven’t had a chance to use the fabric markers yet, but the kids have been trying to talk me into letting them decorate one of their old pairs of jeans since the markers are formulated for dark fabrics. I think I might even need to join in with a pair of my old jeans too! 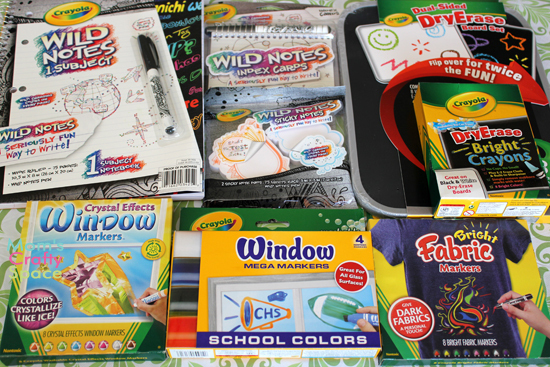 WANT TO WIN SOME OF THESE CRAYOLA GOODIES? Giveaway will close at 11:59 PM EST on Thursday, September 6th. Winner will be announced the next day. Good luck! 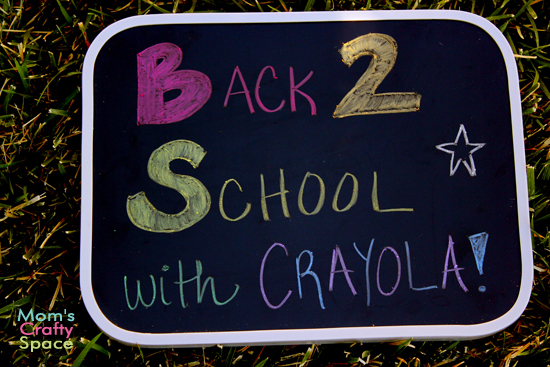 Disclosure: The information, products and additional Crayola Back-to-School gift pack was provided by Crayola® through MyBlogSpark. I need to own this Heidala! 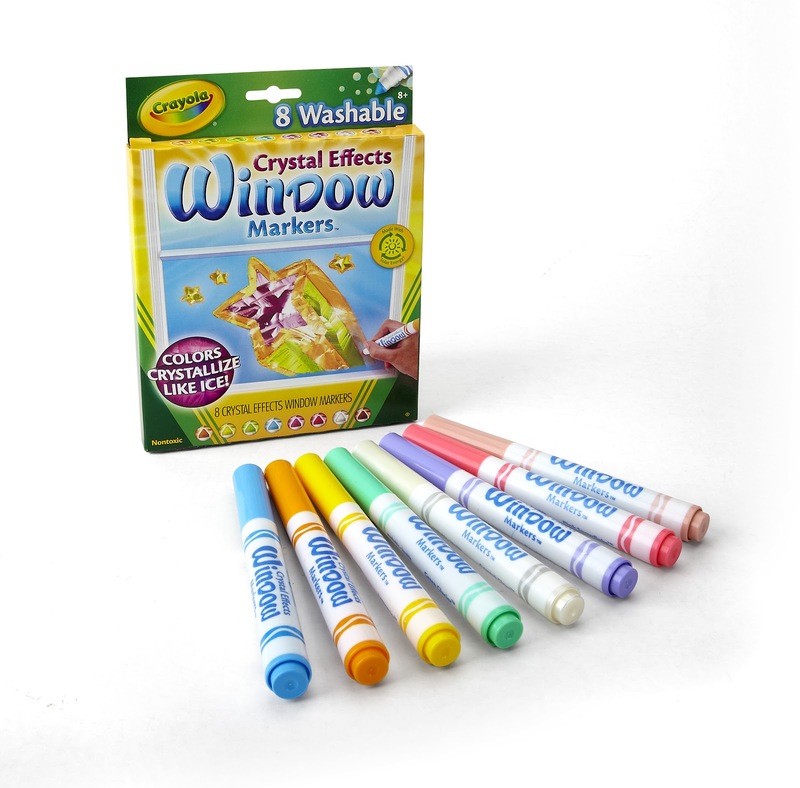 The crystal effects window markers! 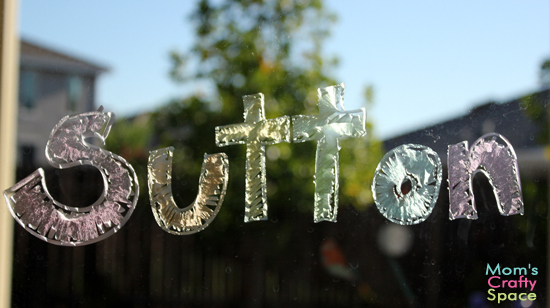 Crystal effects window markers, most definitely!!! So excited! I replied to your email. 🙂 Please let me know if it did not go through!